Wikis are excellent tools for collaboration. When wikis are used students learn to collect and share information as well as publish and negotiate. I agree with the first statement, but the second appears to confuse the tool with how it is used. 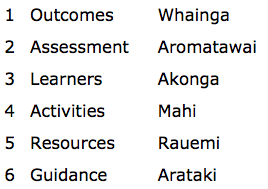 It seems to suggest that the learning identified will happen because a wiki is used. That’s not the case – it’s the collaborative activities the teacher sets up based around a wiki that will (if successful) enable students to learn to ‘collect and share information as well as publish and negotiate’. 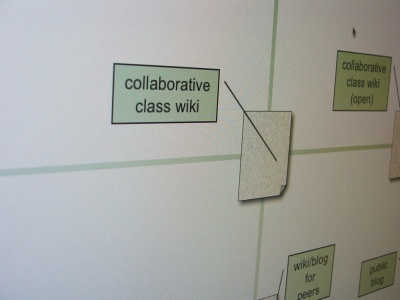 Use of a wiki does not automatically lead to learning to collaborate. Likewise, not using a wiki does not prevent such learning from occurring: other tools such as Google Docs can be used in learning to collaborate. So it’s how the tool is used that leads to the desired learning. As I’ve described elsewhere, wikis are useful for more than just collaboration: they are also a very useful tool for non-collaborative learning such as personal reflection. So the thoughtful application of the tool is crucial to achieving success. Those of us working in professional development in education have seen poorly-planned incorporation of wikis and other technology tools lead to disappointment and disillusionment. The use of a wiki as a learning tool within a course is more complex than a straightforward collaboration between a small group of co-workers working on a shared project. So how the wiki is applied in the learning context requires more careful planning. If this were not so, learning design would cease to be a productive activity, and solving the technical issues of incorporating a wiki and training teachers and students in its use would be all that’s required. The limited uptake of tools such as wikis in education suggests this is not the case. 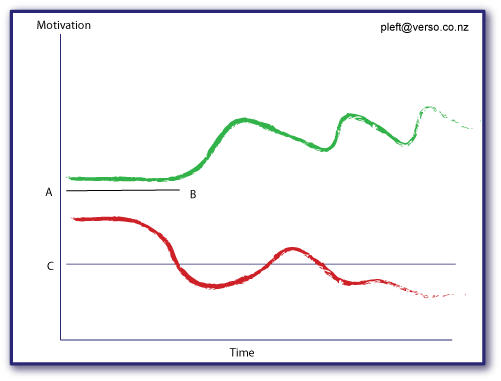 This entry was posted in Tools and tagged collaboration, learning, learning design, Professional development, wiki, wiki in education on April 14, 2009 by Paul Left.